Why not take one French pastry and put it into a French recipe? Croissant French toast is the ultimate cheat breakfast for days when you have a little more time to spend on yourself. Instead of dipping slices of bread in the batter, you replace them with croissant slices. Serve it up with fresh berries, cream, and maple syrup. Is a pain au chocolat your favorite French pastry? You don’t need to be down when you’ve run out of them! You can easily make a faux pain au chocolat with a croissant and chocolate spread. Just slide a knife through the center of the croissant, without slicing it. Fill the center with chocolate spread, heat it up and enjoy with a steaming cup of coffee. No doubt, it will never replace the original recipe! Never run out of them, buy your Pain Au Chocolat online! Bread pudding is a go-to recipe for stale bread. You get a naughty treat out of it and it rejuvenates the bread, leaving behind no off-putting taste. The same can be achieved with croissants. Allow the croissants to soak up the custard mixture and bake for 20–30 minutes. Fresh croissants make the perfect sandwiches. This quick recipe can be whipped up in under five minutes. Slice a croissant and fill it with basil, tomato, and a fried egg. You can have the yolk runny or firm, whatever you prefer. If you choose to keep the yolk runny, it’s best to eat hot, it can also get a bit messy. This quintessentially French dish is pure comfort. If you’re not familiar with it, it’s essentially toast with ham and a rich cheesy béchamel, topped with a runny poached egg. It’s a great Sunday brunch dish and will give you the energy you need for the day. You can use croissants as a substitute for bread for a fancier treat. This sandwich is the ultimate dinner of leftovers! Vamp up your left-over steak and day-old croissants for an oozing sandwich. Lightly butter the croissant and grill it, slice and fill with steak slices, lettuce and load it up with cheese! Put it under the grill till the cheese melts. This recipe is perfect for those grab-and-go breakfasts and dinners. If you’re working a hectic job that has you working long hours, chances are, you don’t have much time in the morning. Frozen croissants are perfect for such busy lifestyles. You can buy frozen croissants online. Before baking the croissants on the weekend, open them up and stuff with your favorite fillings! You can go sweet or savory. Goat’s cheese and pesto taste great, so does sausage and cheese. 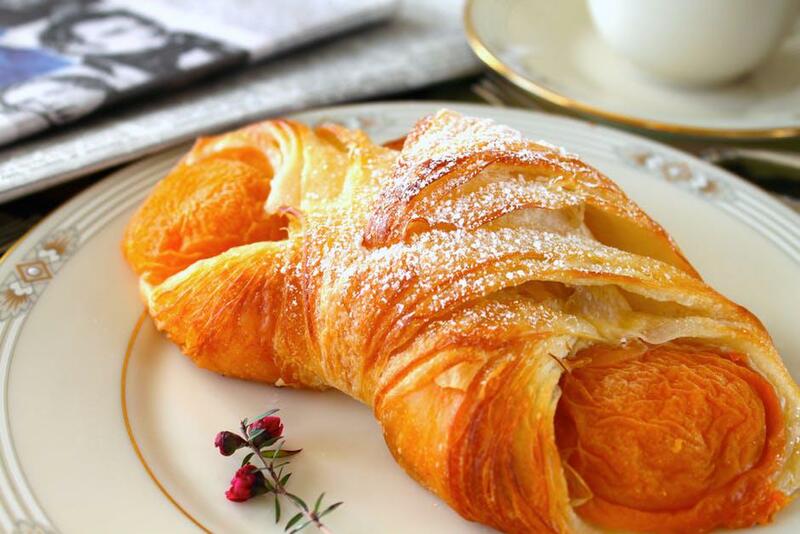 Fill your online cart with buttery and flaky croissants at Divine Specialties! They are a premier online baking supplies e-store that offers specialty products and baking supplies.